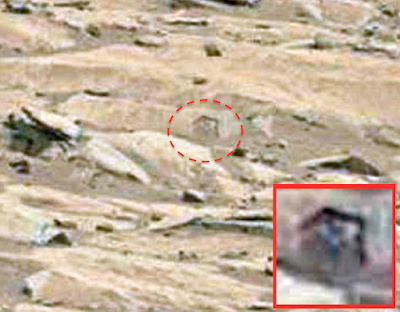 UFO SIGHTINGS DAILY: Two Faces and Hexagon Writing Found On Mars Surface, July 2015, UFO Sighting News. 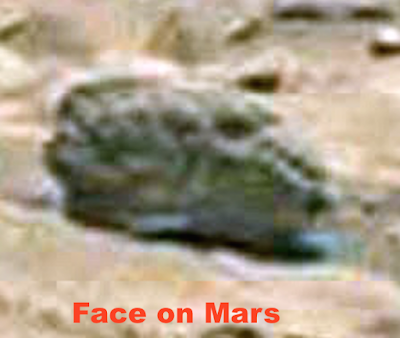 Two Faces and Hexagon Writing Found On Mars Surface, July 2015, UFO Sighting News. This face on Mar is of an alien species that looks nothing like humans. The first photo was discovered by a Youtube user and the face has features that resemble an insect or reptile. The face in the screenshot below I found myself in the same photo. 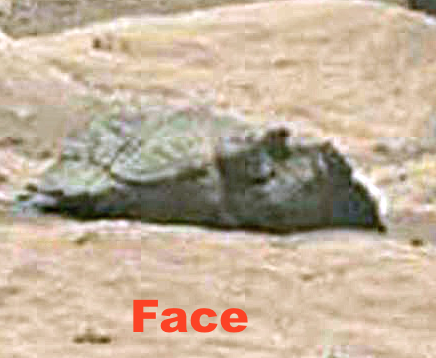 It is a reptilian face, but different from the above face. I also found a hexagon shape on the stone very close to both faces. These three ancient artifacts all back up one another that this is an archeological site worth diving into, rather than being ignored by the NASA rover. I have also pointed out two other artefacts, a car (small so possibly a childs sports type car) and the cockpit of a plane, again possibly model sized. 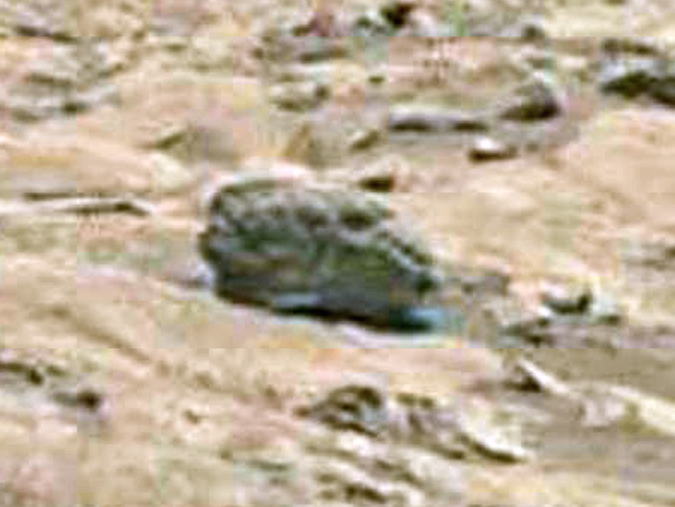 Remember what we are seeing are not rocks as NASA would have us believe. What we are seeing are objects that have been buried in the mud and a thin sandy concretion has formed on top over hundreds of thousands of years. 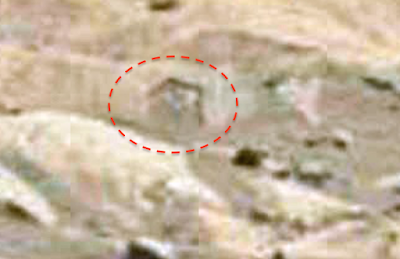 You can see all over the main picture that it has cracked and broken exposing artefacts. There is a whole planet there that was once inhabited by a civilisation that was much more advanced than we are now. We shouldn't be surprised at 'anything' we may find. It could be that human life originated on Mars and a small number came to Earth prior to the Martian nuclear catastrophe. If that is the case it may explain why many of us instinctively know of past life on Mars, why many of the artefacts appear so familiar to us and also, the technology we are trying to obtain to travel to and from Mars may be waiting for us right where we left it. My take on this now is that we are the Martians. That's where we came from and that is why, to some of us, artefacts there look so familiar. NASA are scratching their heads trying to figure out how they could send manned missions to Mars and what technology would be needed. 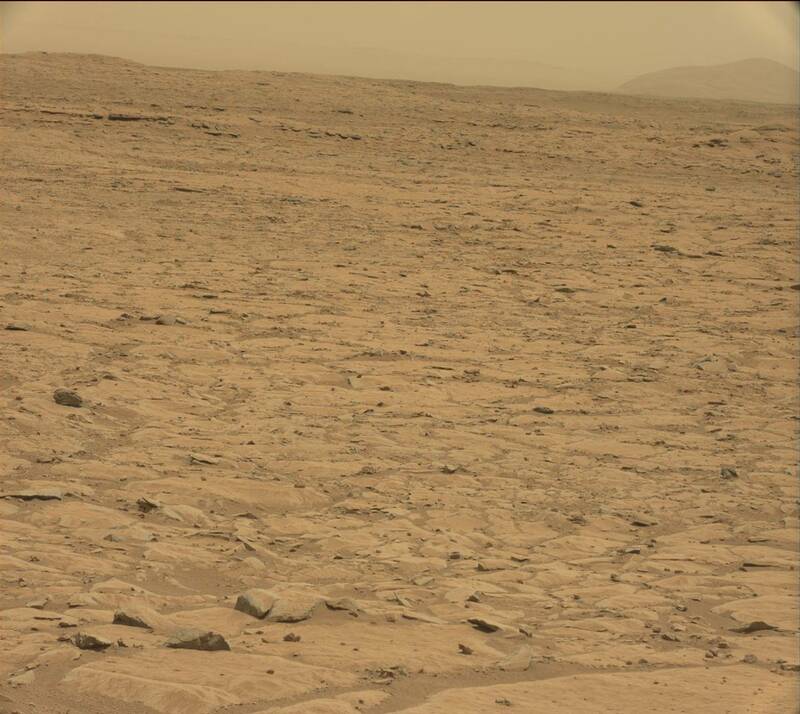 Isn't it just possible that all the technology we could ever need is right there on Mars? Exactly where we left it!